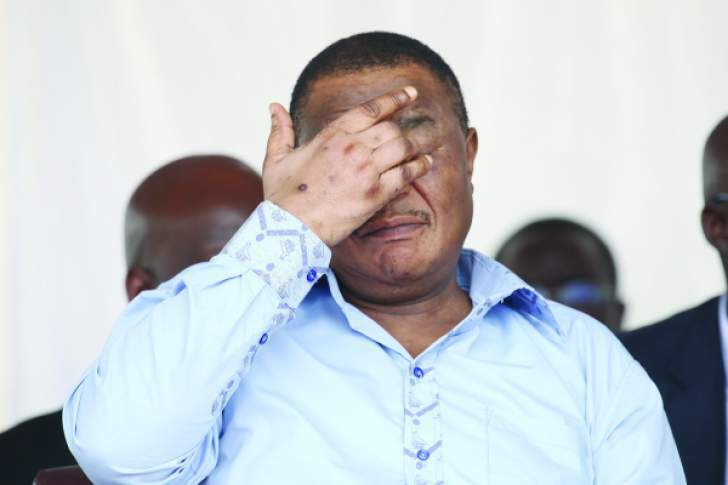 Vice President Constantino Chiwenga, is apparently admitted at a private hospital in Harare - where he is being treated for a yet-to-be-disclosed ailment the Daily News reported. This comes as sources also said yesterday that affable Foreign Affairs and International Trade minister, Sibusiso Busi (SB) Moyo, was still battling in hospital — after undergoing an emergency surgery for a kidney-related ailment two weeks ago. Multiple sources said Chiwenga, who led the military intervention which toppled long-serving former president Robert Mugabe from power last November, was admitted at a top private hospital in the capital, after he is said to have fallen ill on Monday. "The VP is in hospital … but we do not know yet what he is suffering from ... but you see, we are human beings and we all fall ill. We are actually going to see him today (last night)," one of the highly-placed sources told the Daily News. In April, Chiwenga was also rushed to hospital after he suffered a dramatic fall at Zanu-PF headquarters in Harare — forcing him to cancel his politburo attendance on the day. The 61-year-old tripped and fell, badly hurting his hand just after arriving for the party gathering, whose agenda included election preparations, mobilisation of voters, party regalia and the threat of defections ahead of the July 30 general elections. Meanwhile, sources also told the Daily News last night that SB Moyo was still admitted at a local private hospital, where he had surgery last month. "SB Moyo is still in hospital and it is not known when he will be discharged, as he is still battling the problem which led to his admission and subsequent surgery," one of the sources said. The retired lieutenant general became an instant celebrity when he announced live on State television last November's military intervention which led to the popular ouster from power of Mugabe. This saw the affable and articulate former senior military officer earning the monicker "General Bae" among his admirers. Moyo's indisposition forced him to miss last month's crucial United Nations General Assembly meeting in the United States, where Zimbabwe was represented by President Emmerson Mnangagwa. Moyo announced on live television on November 15 last year the military's intervention in the governance of the country. The curtain later fell on Mugabe on November 21, when the nonagenarian resigned from his office moments after Parliament had started damaging proceedings to impeach him.